Be prepared for the demands of the speaking situations that come up in life! In this clear, concise volume, the authors present the theme of public speaking as a transaction between the speaker and the audience. Effective speaking is presented as an integrated process, not a series of isolated elements. The audience serves as the unifying theme. 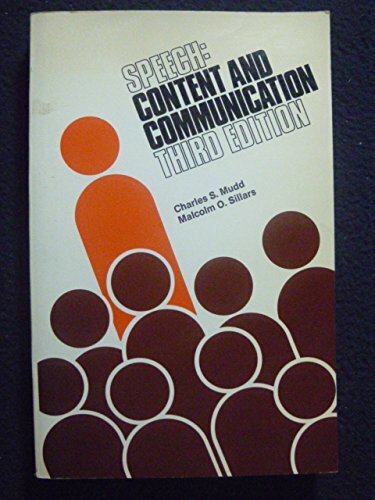 This book teaches novice speakers to think of public speaking as an opportunity and a responsibility to share information and to connect with the audience. Thoroughly grounded in rhetorical theory, the volume relates the concepts taught by Aristotle to today's critical thinking skills. Emphasis is placed on analysis and argument being the key tools not only for public speaking but also for success in other areas as well. Includes a large number of real examples, sample outlines, and samples of actual speeches that support discussions of rhetorical principles, types of discourse, and practical elements of speech preparation.